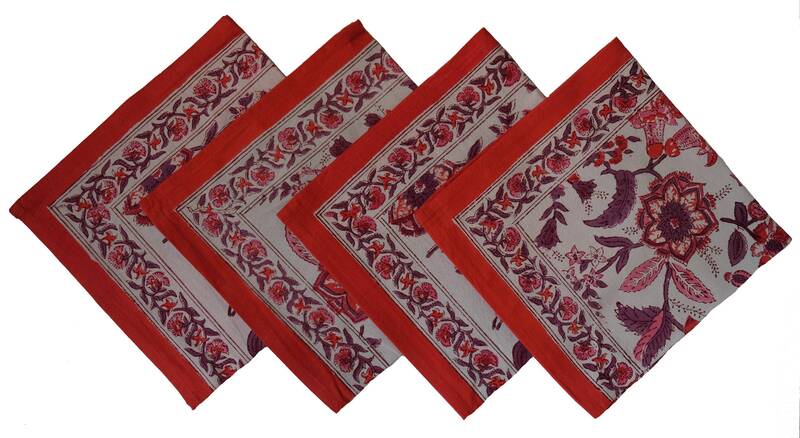 Dress up the dinner table for any occasion with these excellent block printed placemats and matching napkins. 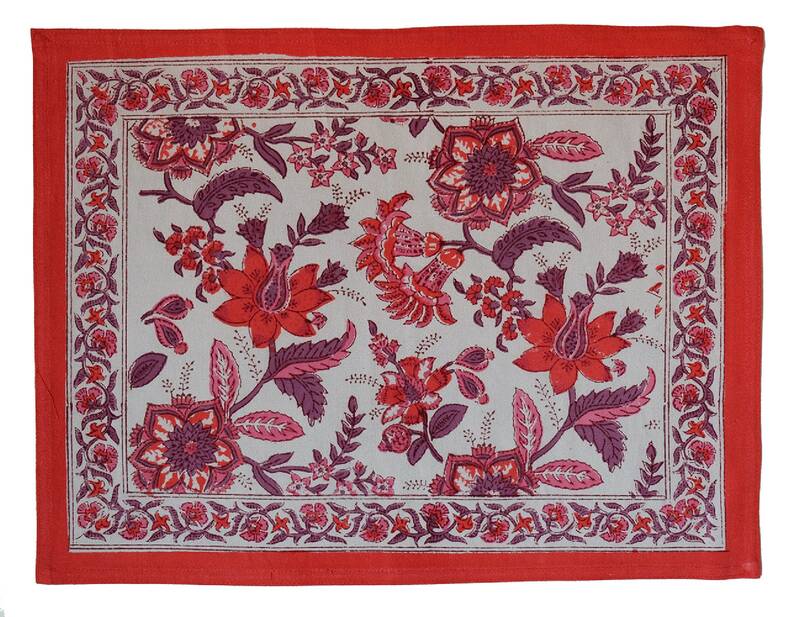 The placemats are made from sturdy weight cotton and keep their shape well. Placemats and napkins come in sets of 4 of each and are machine washable for easy care. 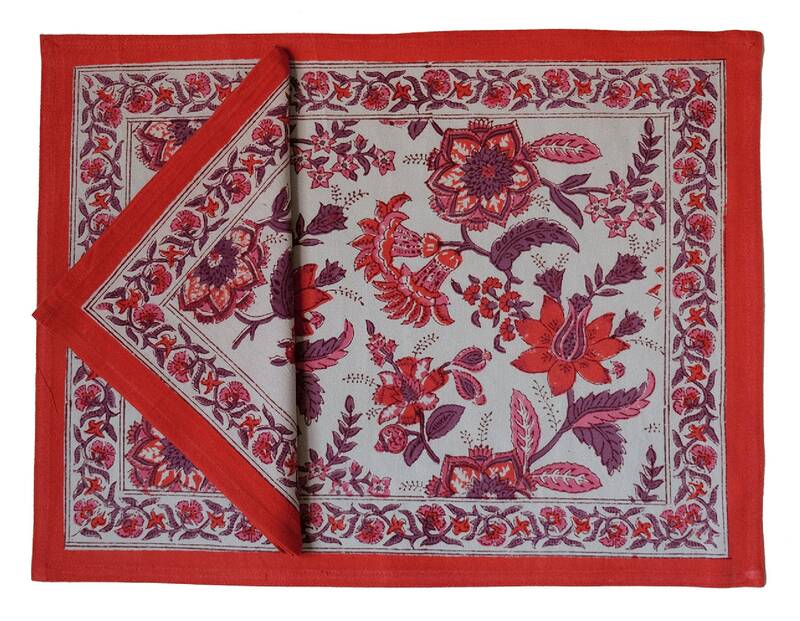 Placemats measure: 18L x13w. Napkins measure: 17.5sq.